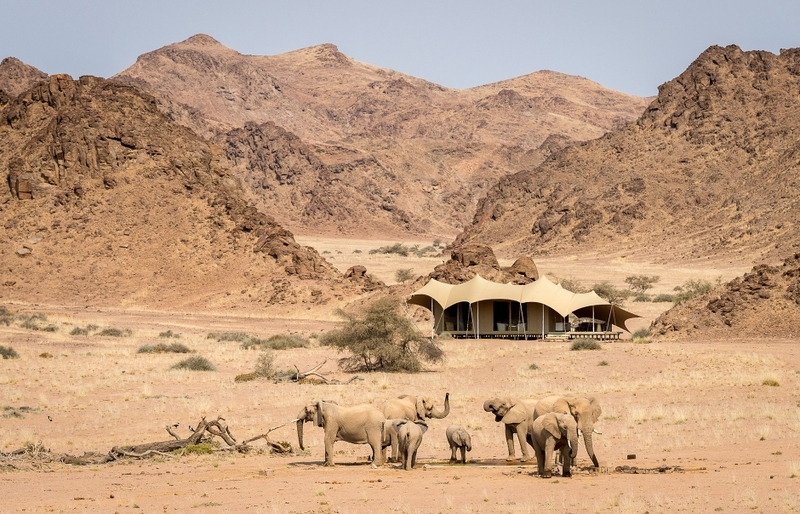 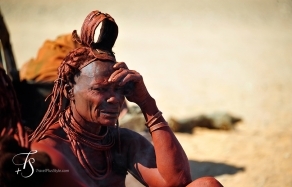 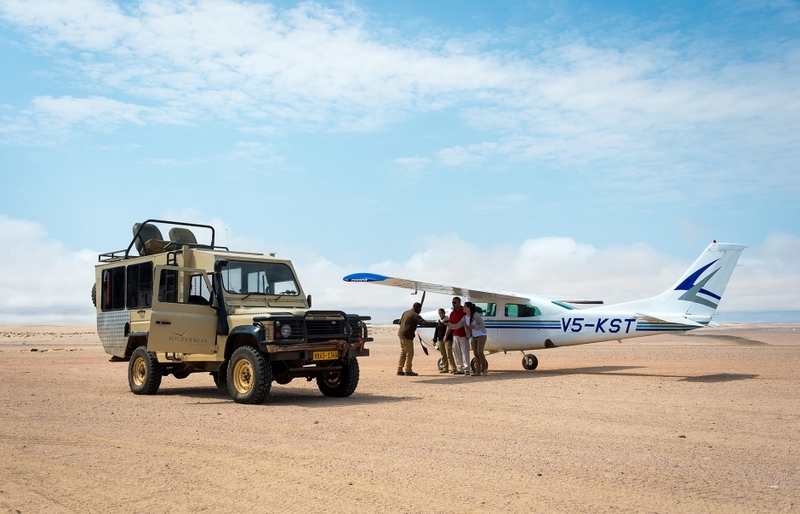 The Skeleton Coast is as popular as other areas of Namibia, even if often only as a flyover attraction, but until recently there was no true luxury camp to add to the itinerary. 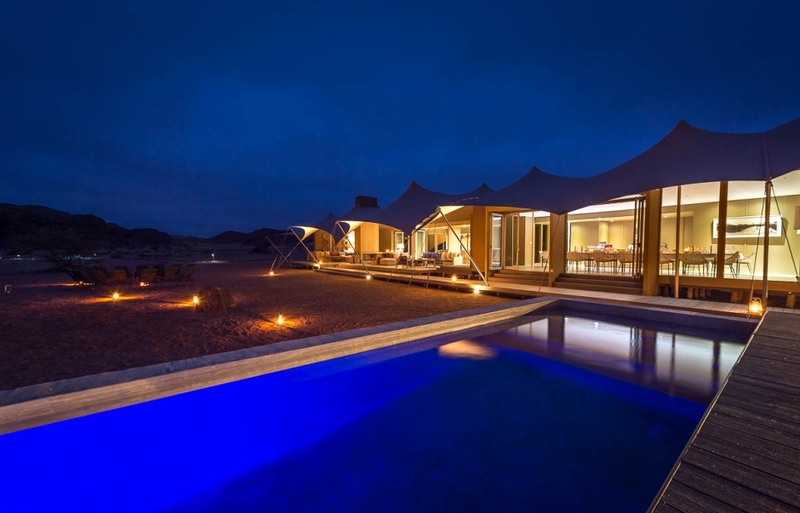 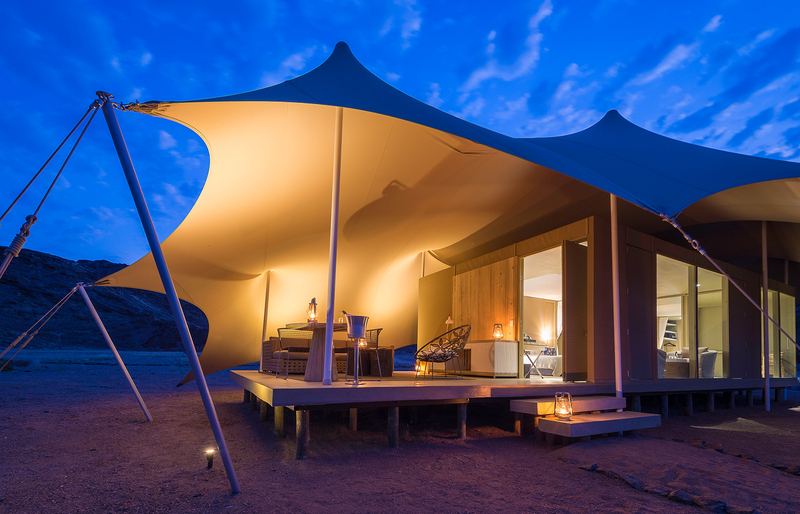 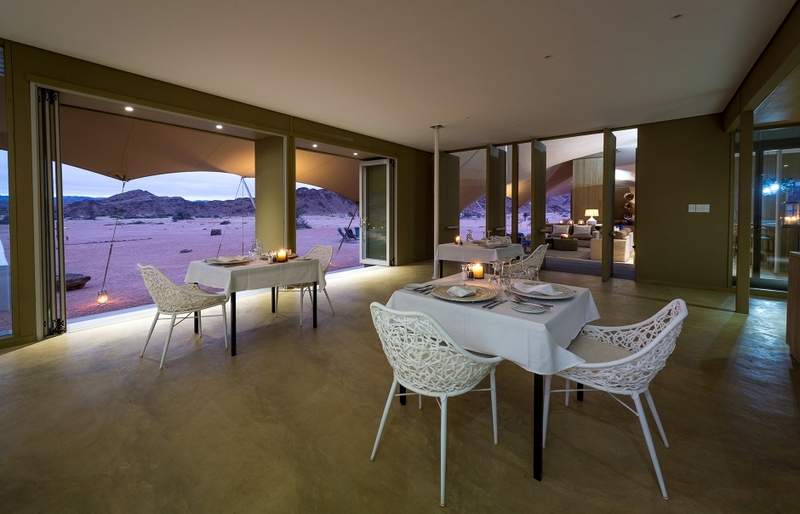 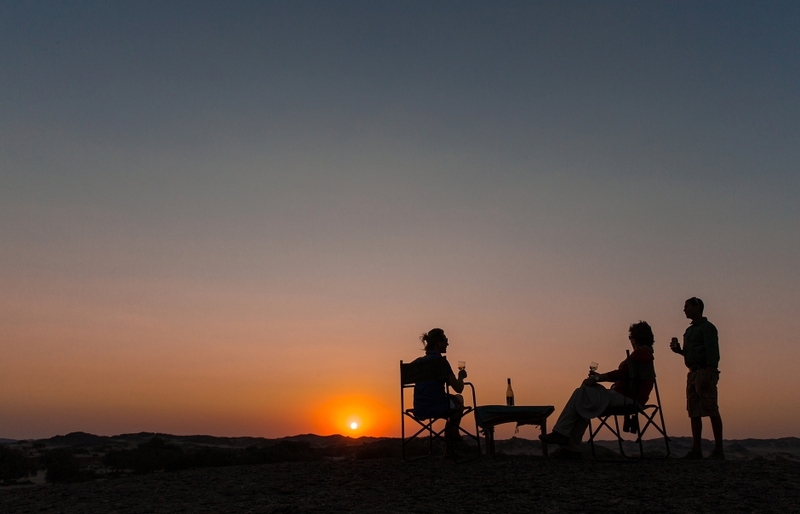 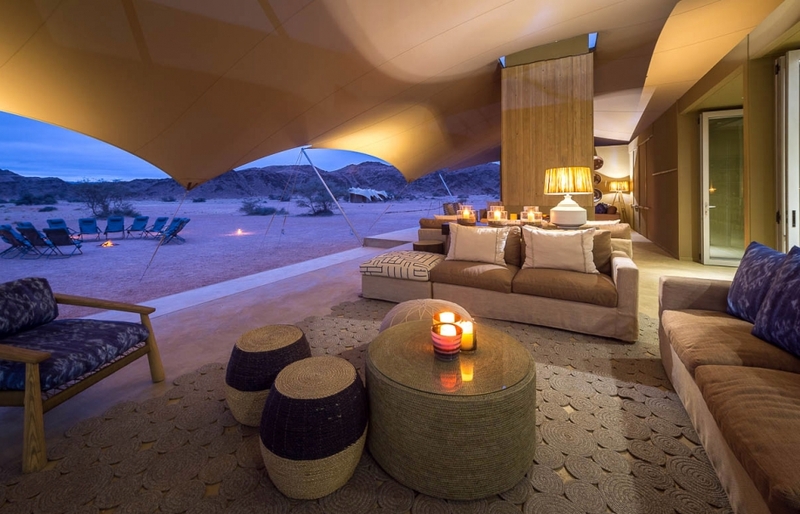 The newly opened, beautiful Hoanib Skeleton Coast Camp from the Wilderness Safaris fills the need. 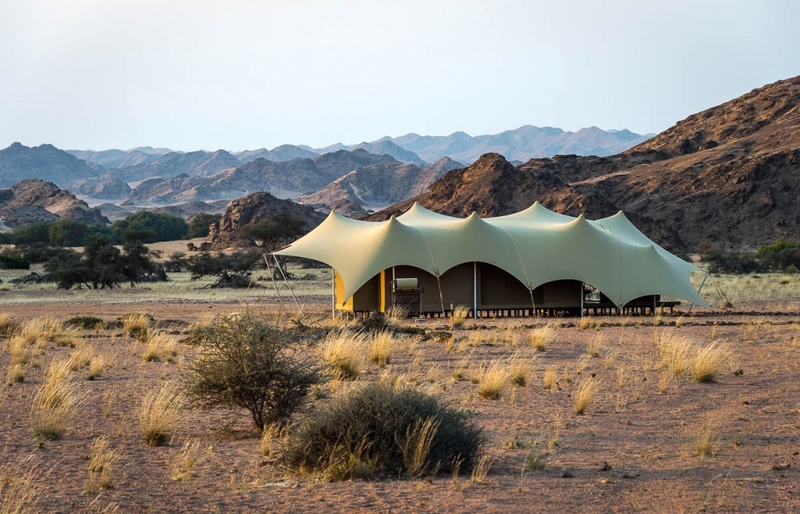 Spanning the length of Namibia, the ancient Namib Desert consists of thousands of kilometres of copper-coloured dunes and plains of silvery grass, cascading down from rugged mountains all the way down to the Skeleton Coast. 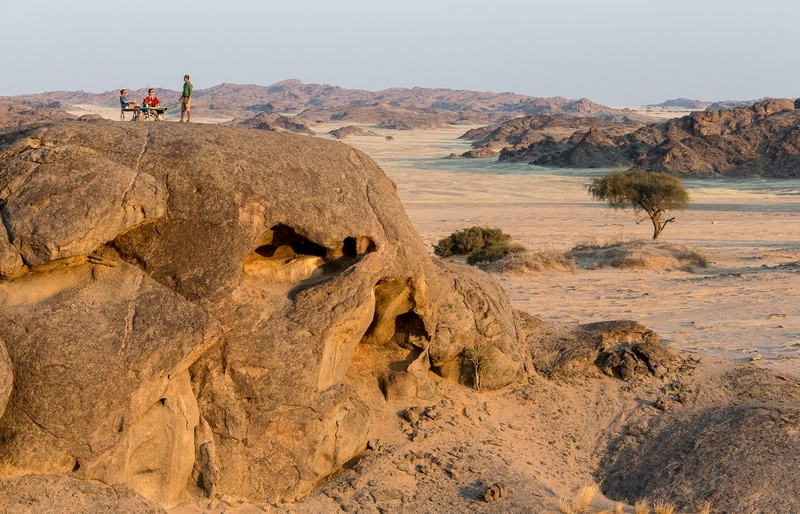 The vast territory of the desert encompasses countless landscapes. 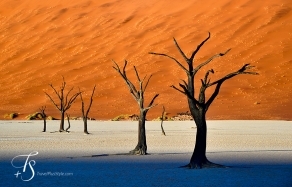 On one end there is the astonishing Deadvlei, and the neighbouring Namib Rand reserve. 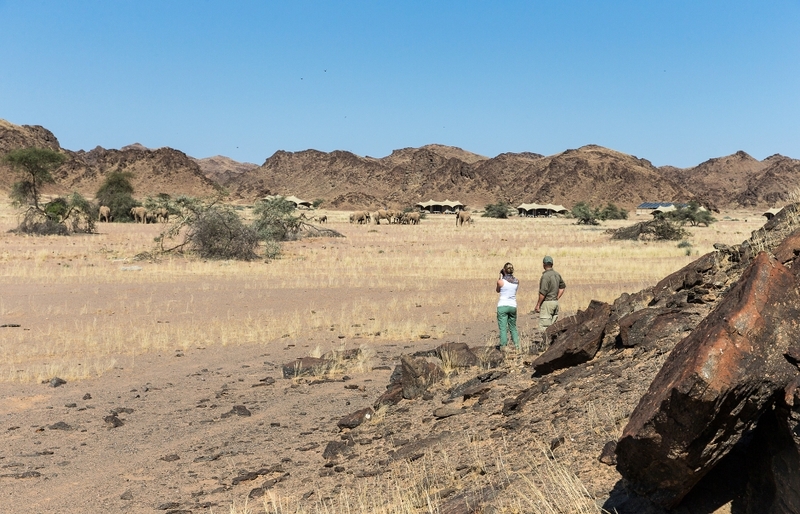 On the other, the Kunene River, a sliver of life-giving water cutting through inhospitable desert. 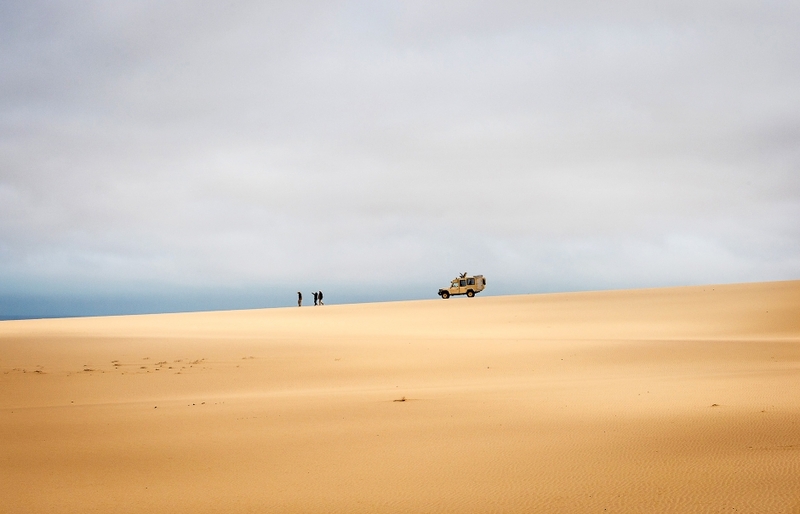 Skeleton Coast lies in between. 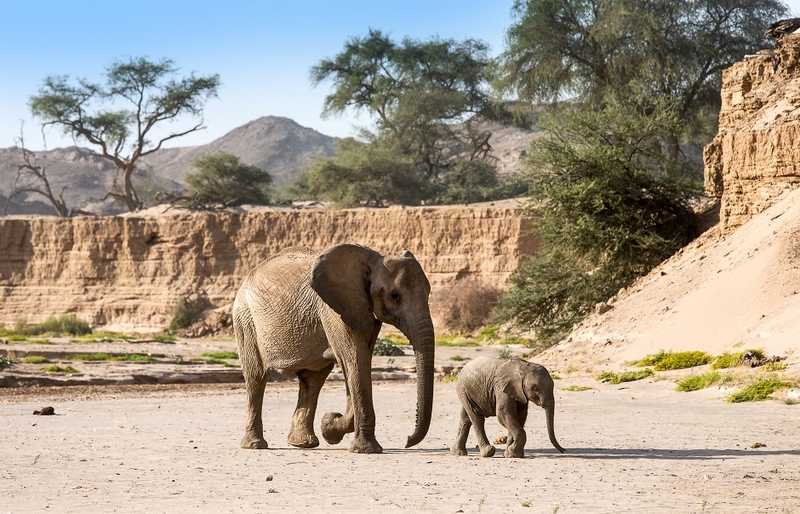 It’s as arid and remote as other parts of the desert, but even this area holds a surprising number of well-adapted wildlife, including elephant, oryx and lion—and large parts of the coast are protected as a National Park. 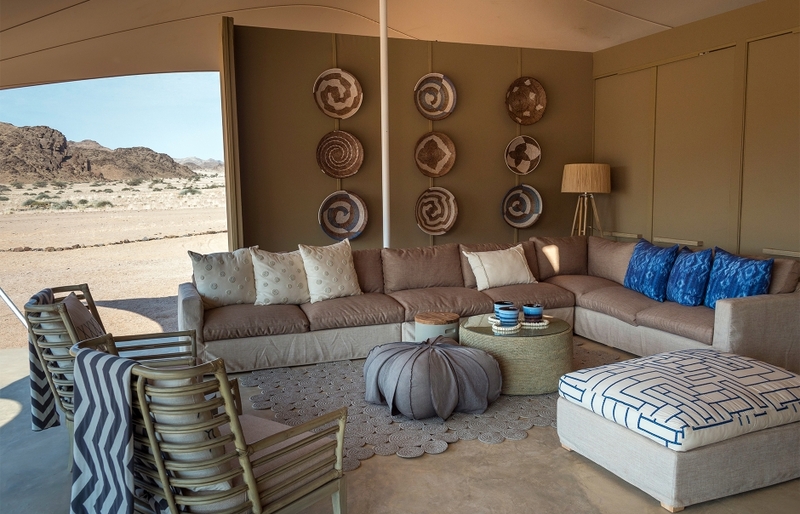 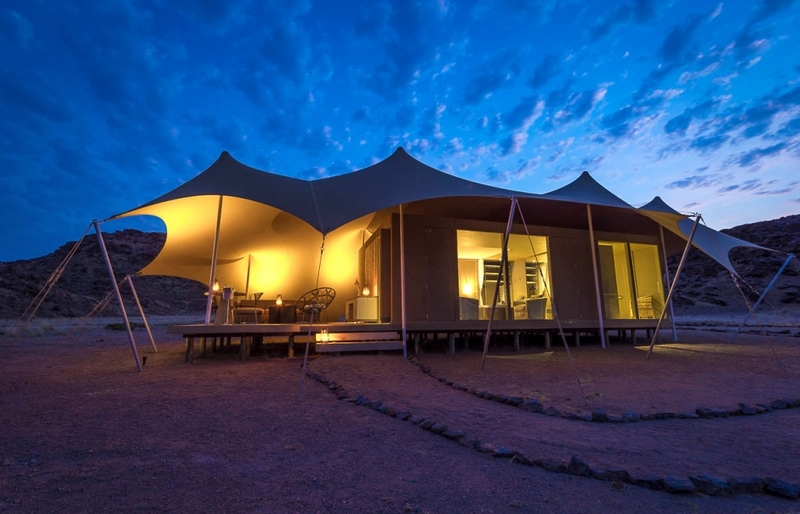 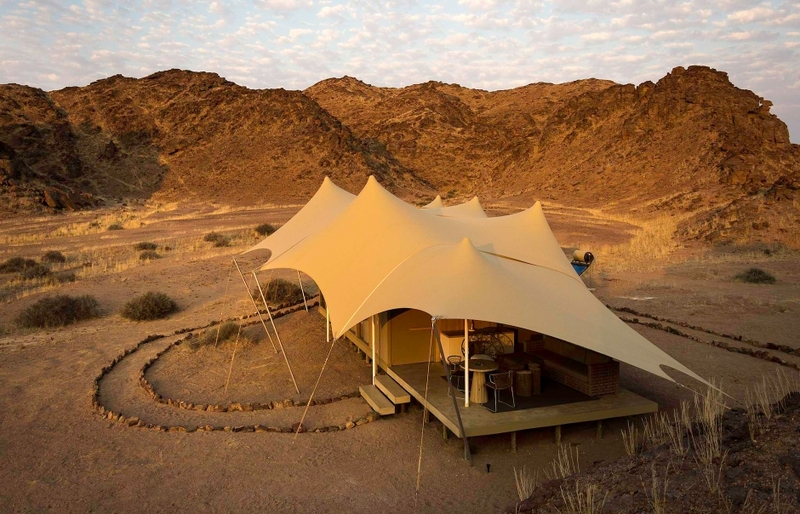 The brand new Hoanib Skeleton Coast Camp is tucked in the northern edge of the park. 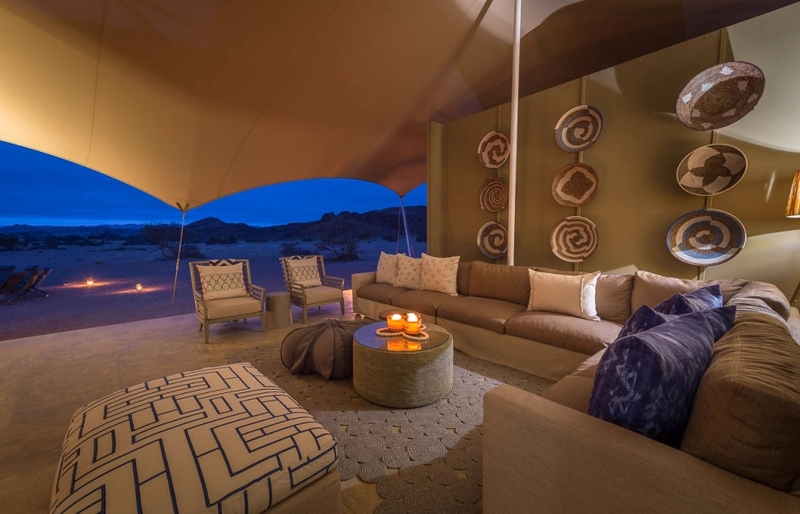 Do the world's highest sand dunes hide the most unreal sight in Africa? 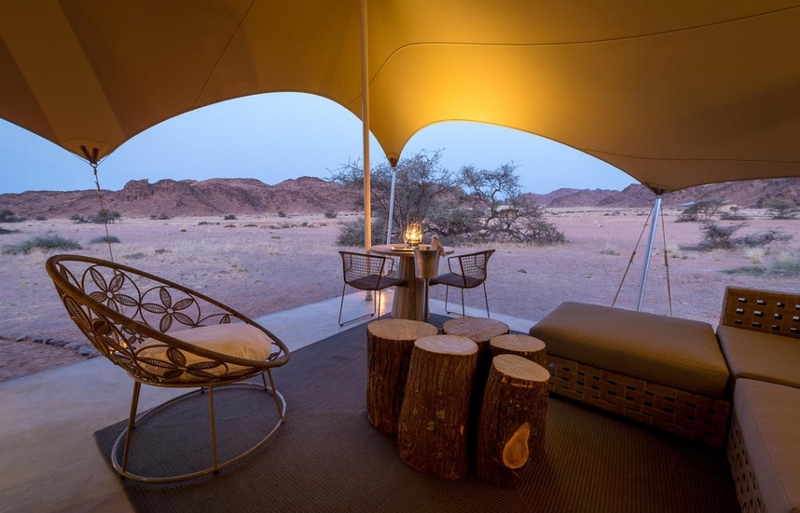 Tucked in a private concession, the camp looks out over a waterhole and dry river bed, and to the desert’s rugged rock formations—a pristine and pure landscape of cinematic beauty. 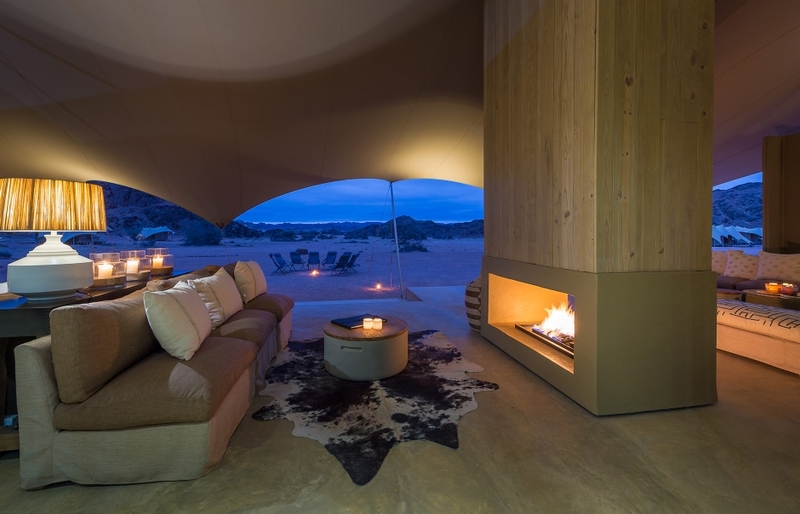 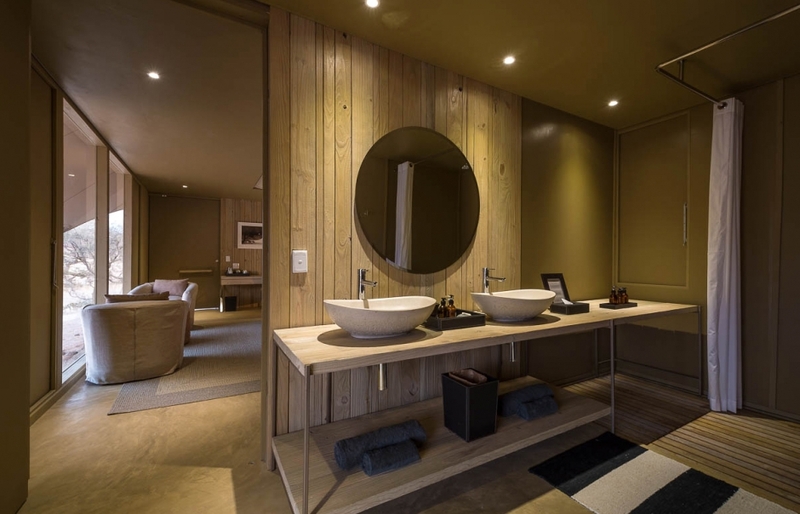 The camp’s eight luxury tented suites are spacious and elegant, decorated with a simple contemporary eco-chic, harmonised with the landscape. 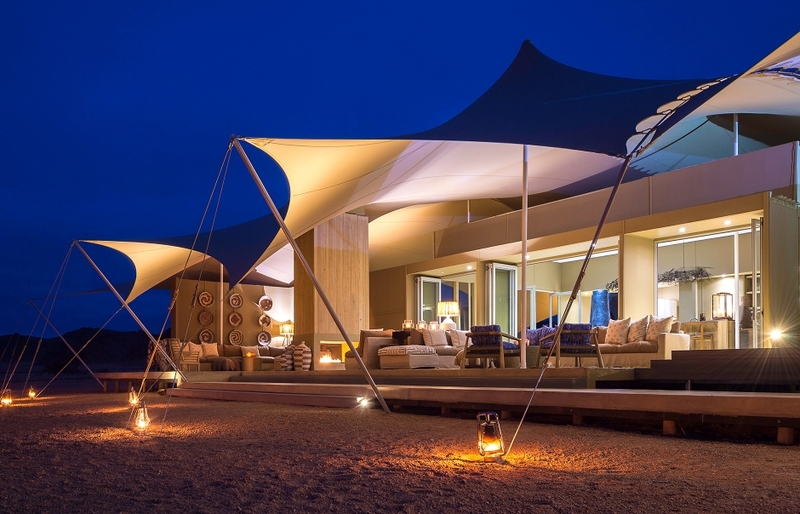 They are movable, in line with the need of conserving the fragile eco-system. 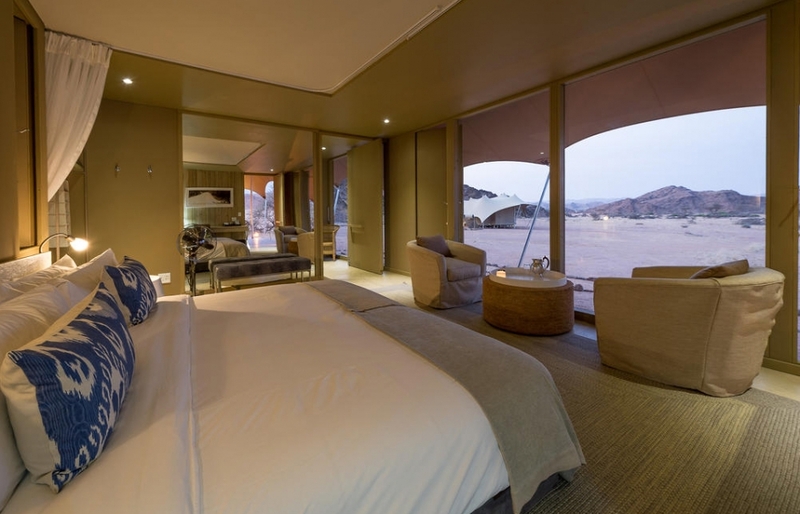 Insulated walls and ceilings in bedroom and en-suite bathroom offset the desert extremes of temperature, the stylish Bedouin tent canopy stretching to shelter a private outdoor lounge with plenty of comfortable seating—perfect to relax and drink in the peaceful atmosphere… and perhaps to spot an elephant strolling along the river bed. 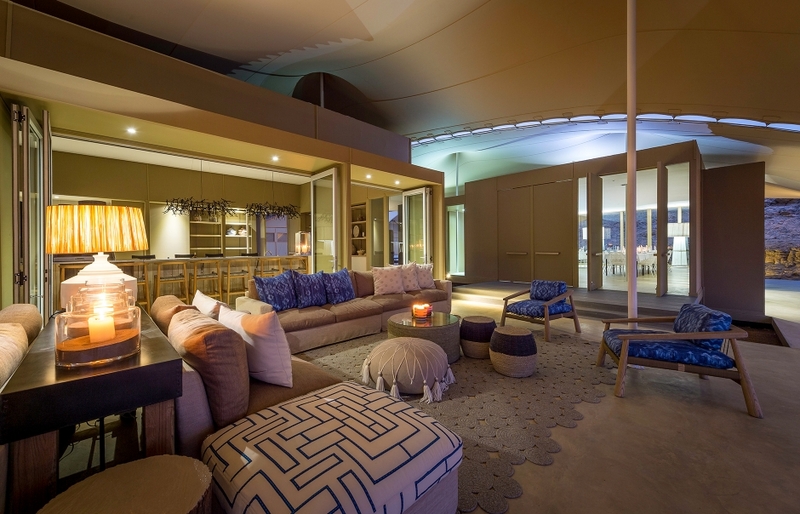 At the main lodge guests relax between activities in the comfortable bar and lounge, minimalist dining room and stylish swimming pool and deck. 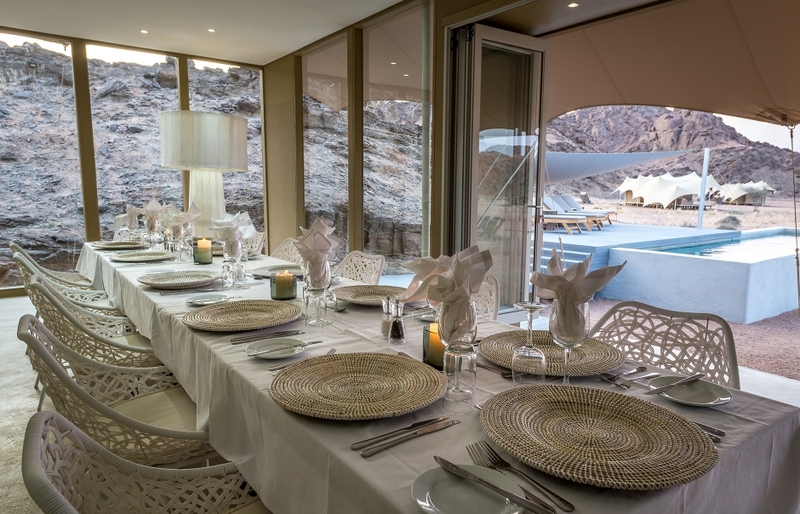 The professional and friendly staff work culinary wonders, including freshly baked breads and fresh produce, magically even providing gluten-free treats on request. 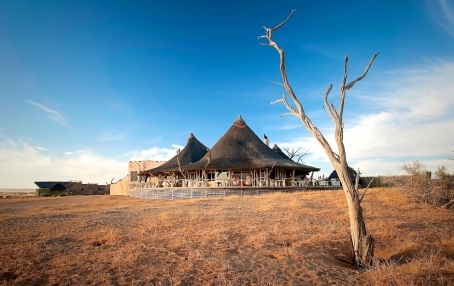 Delicious picnic lunches might be served in a green oasis during a game drive with the informative guides, sundowners on a scenic lookout observing desert-adapted lion. 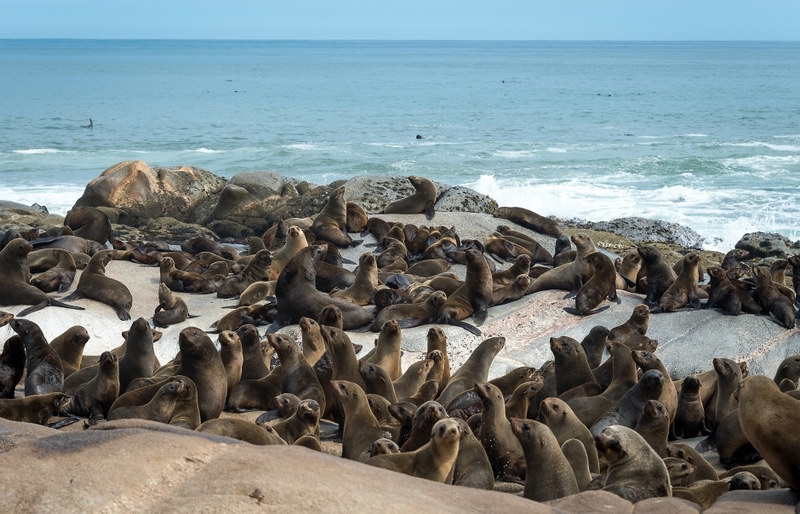 Staying for three nights allows for a full day expedition to the Skeleton Coast, a highlight for many, through a succession of landscapes including, dunes, the vlei with waterbirds, and then stark gravel coastal plain to the Mowe Bay seal colony. 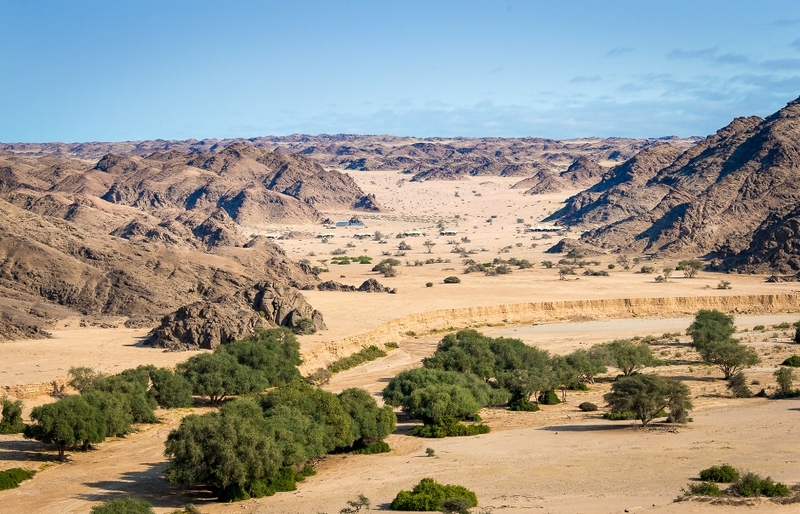 After a picnic lunch the short return flight unveils the unique landscapes from the air. 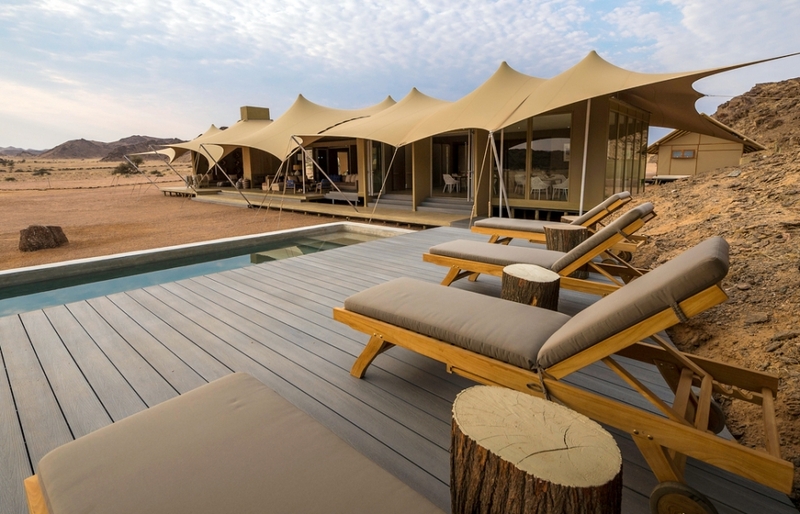 Already acknowledged as ‘Most Out of this World’ lodge in the 2015 Tatler Travel Awards, the wild adventure in a photographers dream setting, together with the legendary Wilderness hospitality, ensure a memorable experience of a lifetime. 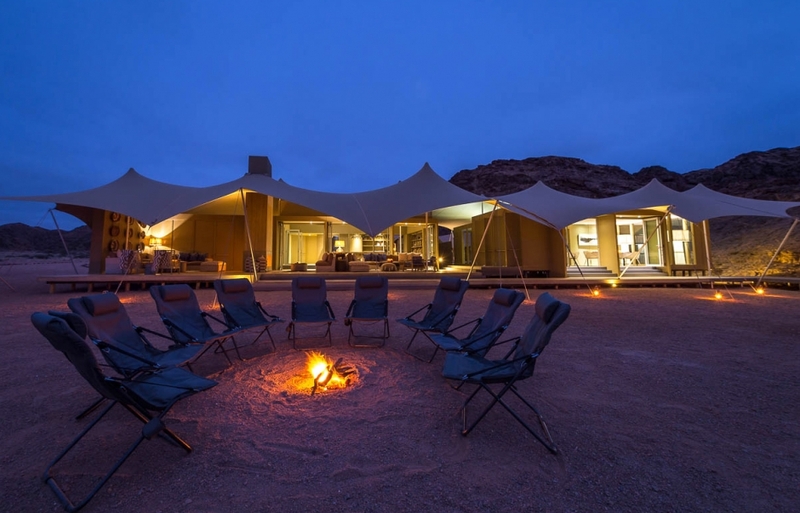 Find out more on the Wilderness Safaris website. 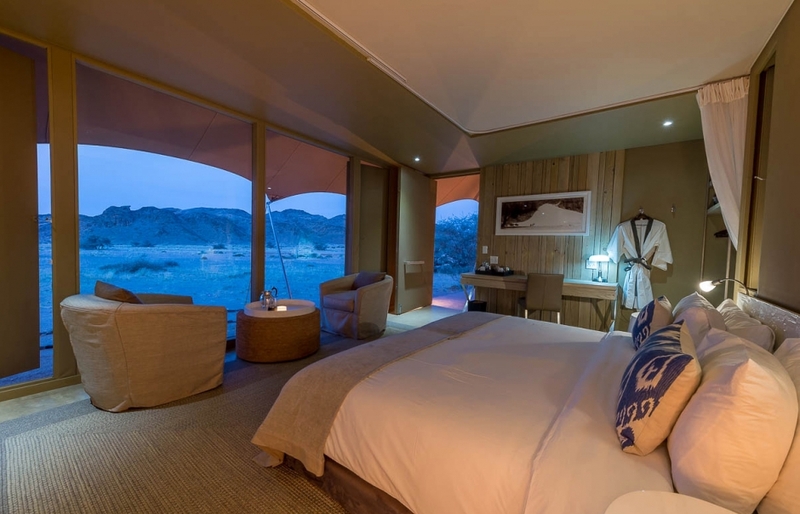 Do the world’s highest sand dunes hide the most unreal sight in Africa?